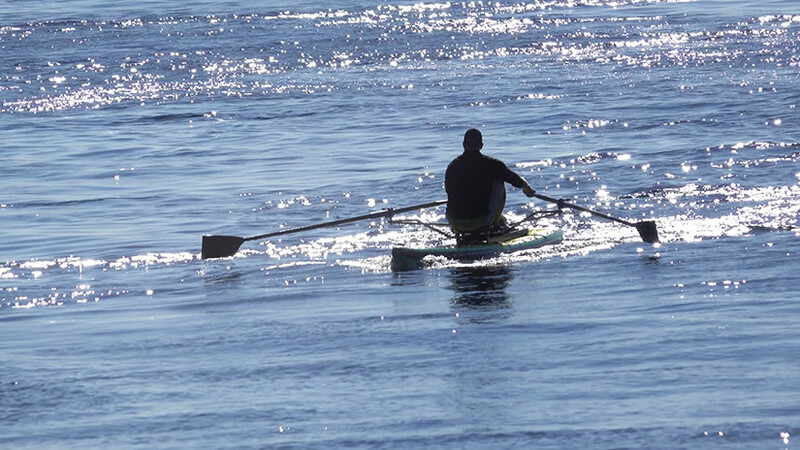 💙 Because of the greater stability found in a standup paddle board, learning to row with the Oar Board® practically eliminates the ‘fear factor’ – the major reason new rowers quit the sport before getting in enough time and experience to fall in love with it. 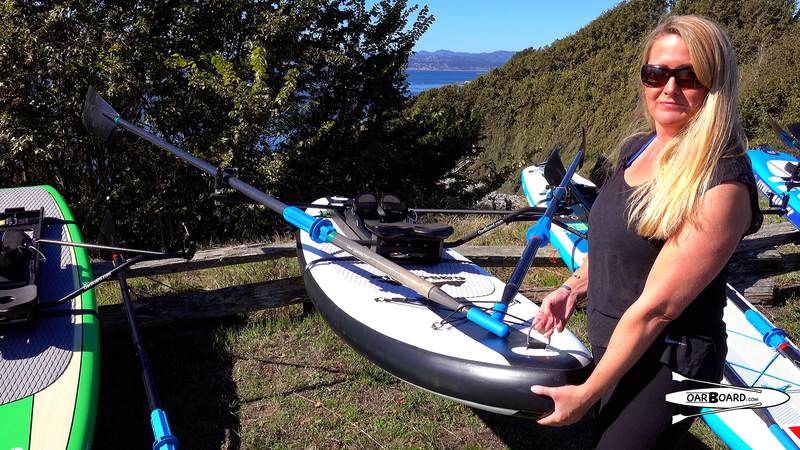 💙 The toughness of an inflatable SUP is much greater than a hard fibreglass paddle board and several times tougher than a fragile racing shell. Novices learn boat handling skills with no breakage problems and lower cost. 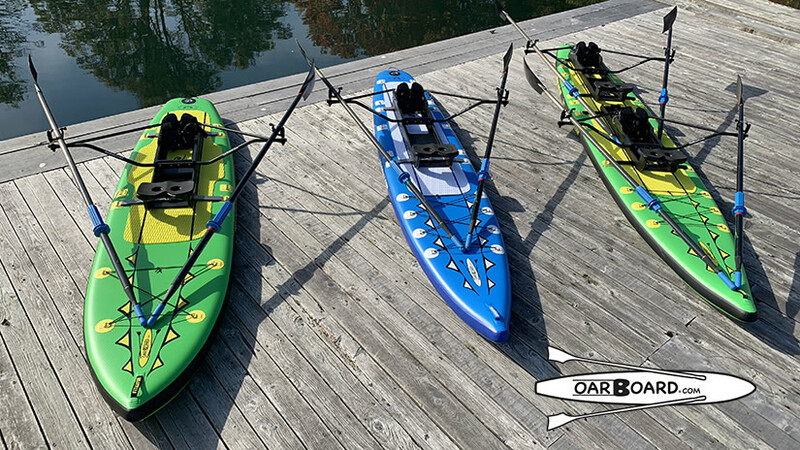 💙 Storage is not a problem as the Oar Board® unit and paddle board can be left inflated and stacked together on a short rack, or detached, taken down, deflated and rolled up compactly. 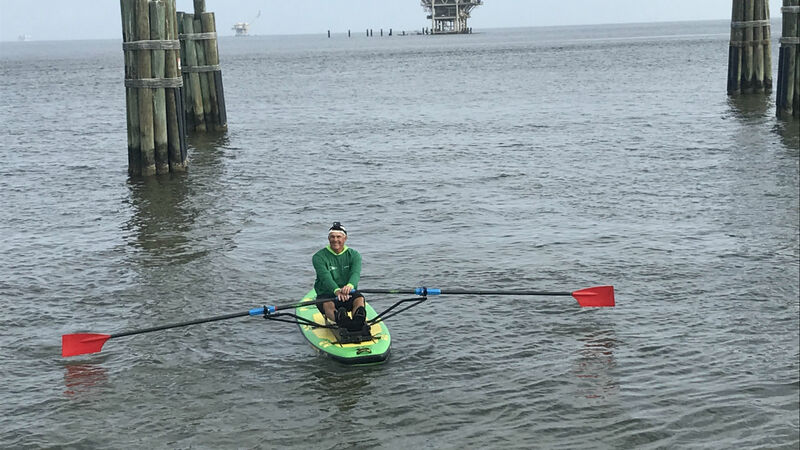 💙 All weather rowing in colder seasons, cold water, waves, or boat wakes, is no longer a problem as the chance of capsizing is virtually eliminated. 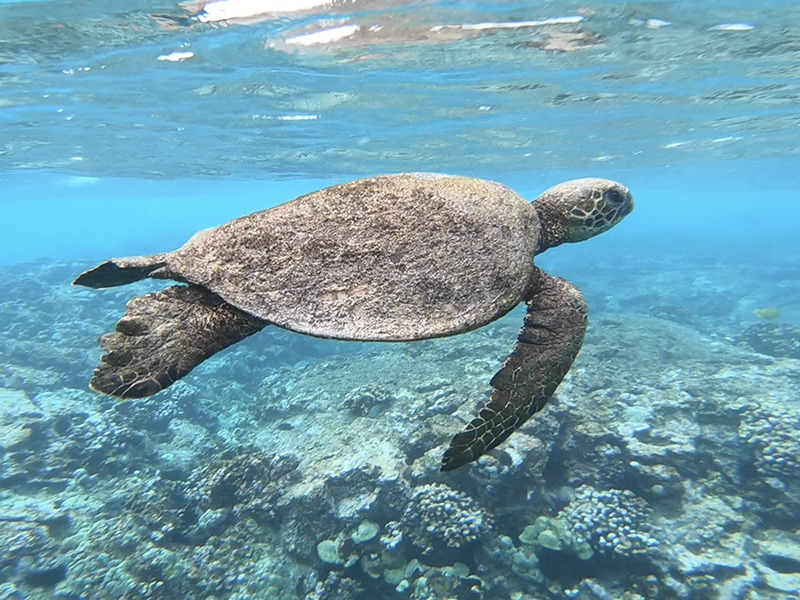 Also, self-rescue is very easy as the paddle board is totally buoyant and virtually unsinkable. 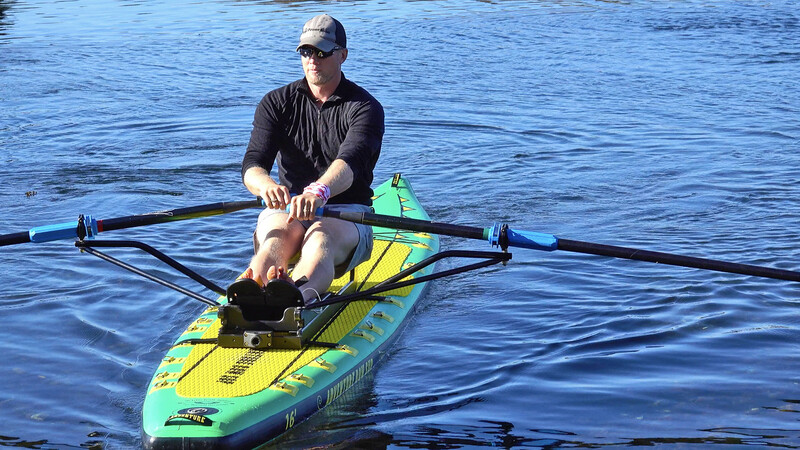 💙 The Oar Board® is ideal as a fitness trainer for novices, competitors, masters or anyone who loves to row and wants to stay fit and in top form. 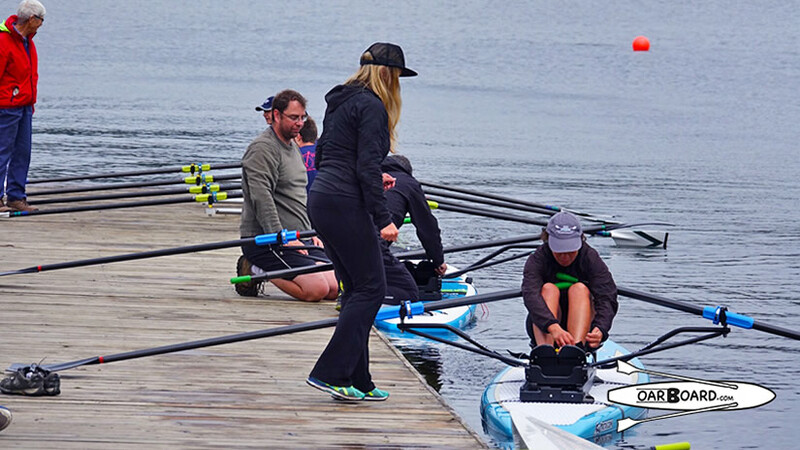 💙 The cost of an Oar Board® and paddle board combo is about half that of a new racing shell. 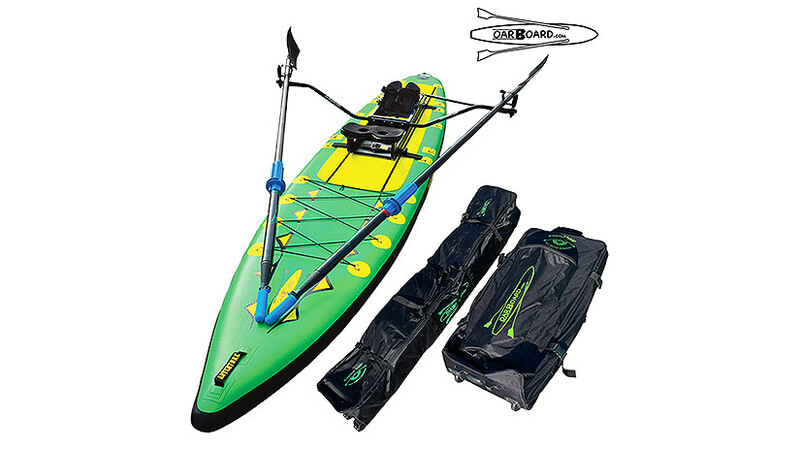 💙 The Oar Board® unit is easily attached to almost any stand up paddleboard over 10’ long. 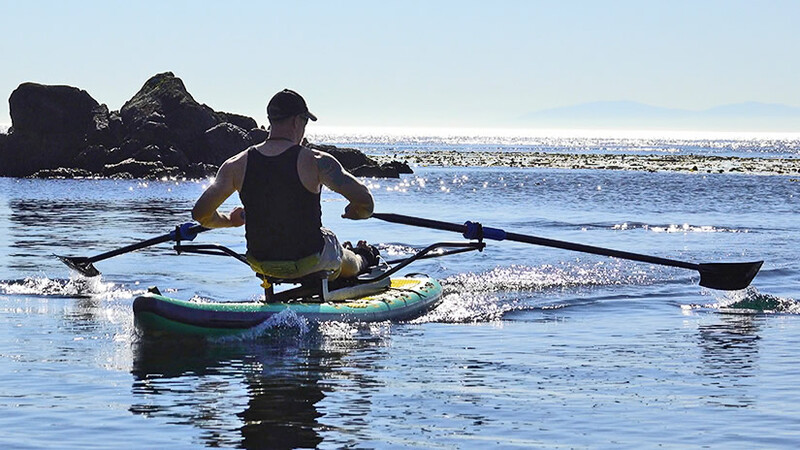 We recommend our custom designed inflatable paddle boards that we specifically designed for sculling.